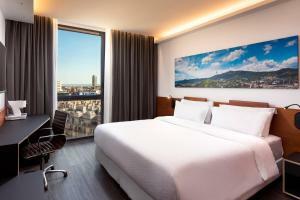 Four Points by Sheraton Barcelona Diagonal is situated 350 metres from Glòries Shopping Centre, in the modern 22@ district of Barcelona. 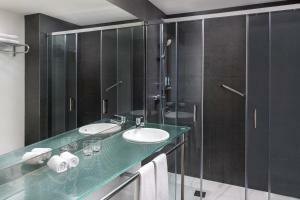 It offers an elegant restaurant and soundproofed rooms with free Wi-Fi and TV. 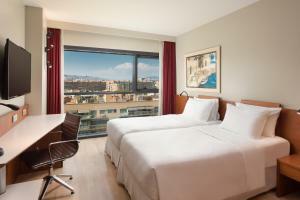 Rooms at the Four Points Barcelona Diagonal are bright and spacious, with wooden flooring. 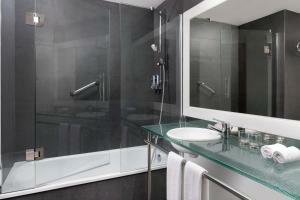 Each room has a stylish bathroom with a hairdryer and toiletries. 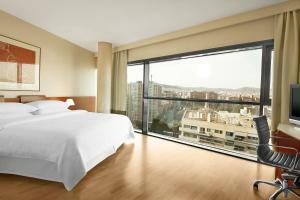 Rooms on higher floors offer great views, some of the Sagrada Familia. La Avenida Restaurant serves traditional Spanish cuisine. A varied buffet breakfast is offered daily, and free coffee is available from 05:00 until 07:00. Taste local crafted beers, snacks and enjoy the best sports projections at 4Taps Bar. 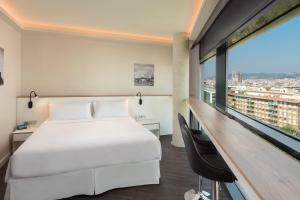 The Four Points Diagonal is 600 metres from the colourful Agbar Tower, designed by Jean Nouvel. 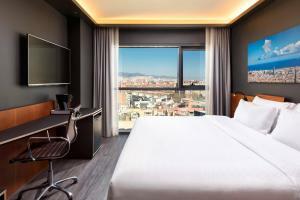 There are many bars and restaurants on nearby Rambla del Poblenou, and Bogatell Beach is within a 15-minute walk. Poblenou Metro Station is only 500 metres away. 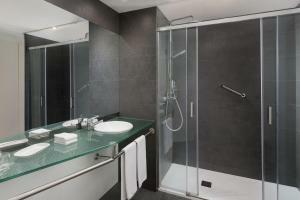 Rate: € 78.10 ... € 205.90; select dates below to get current rates. 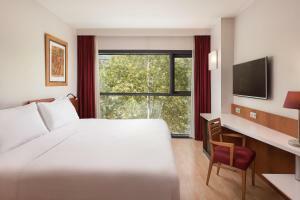 Rate: € 99.79 ... € 193.11; select dates below to get current rates. 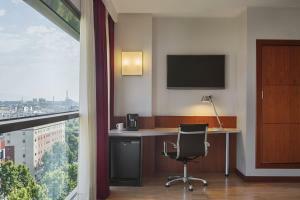 This spacious room is located on the corner of the building. 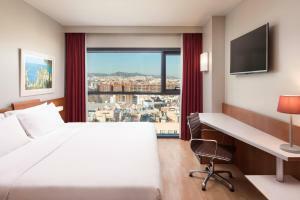 Located on the upper floors of the building, this room has a large window with views over Sagrada Familia and Barcelona. 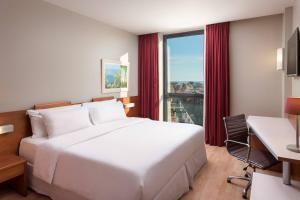 Offering city views, this double room includes air conditioning and flat-screen TV. 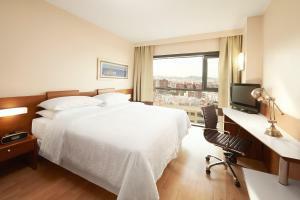 Located on the upper floors of the building, this room offers views over the Sagrada Familia. 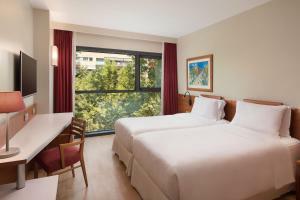 Rate: € 140.72 ... € 201.51; select dates below to get current rates. 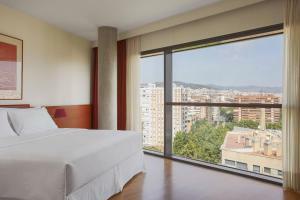 This more spacious room offers views over the Sagrada Familia and Barcelona city.